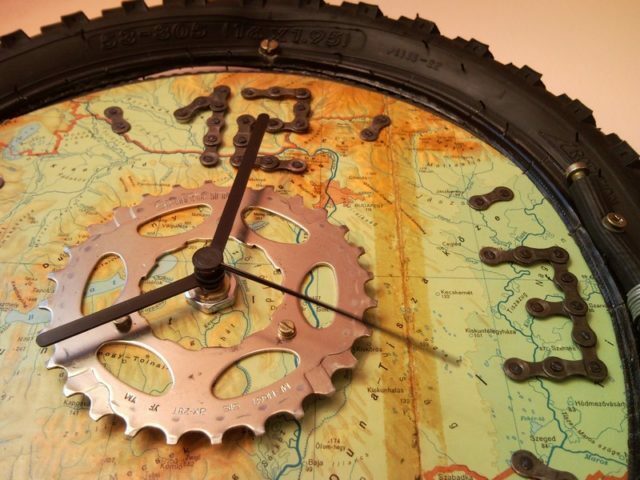 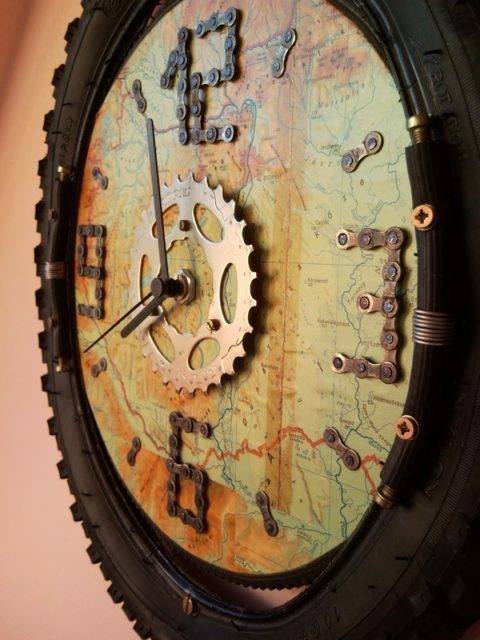 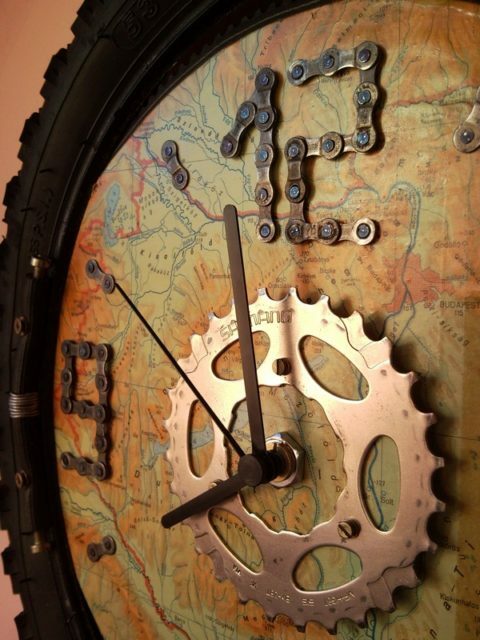 Recycled bicycle wheel tire, tyre bicycle wall clock with map. 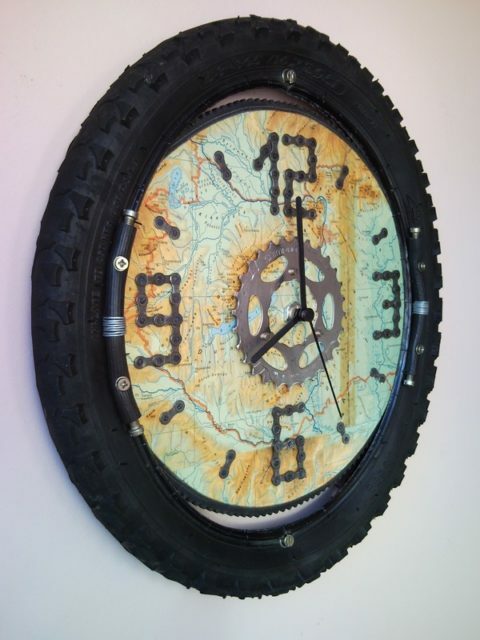 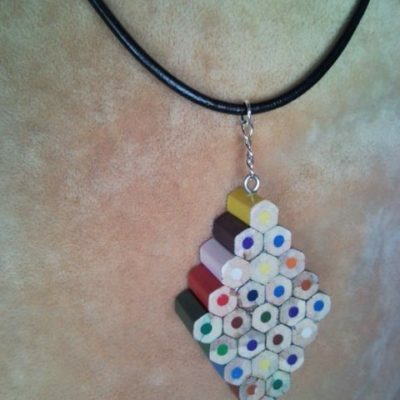 Best gift for mountaine bikers. 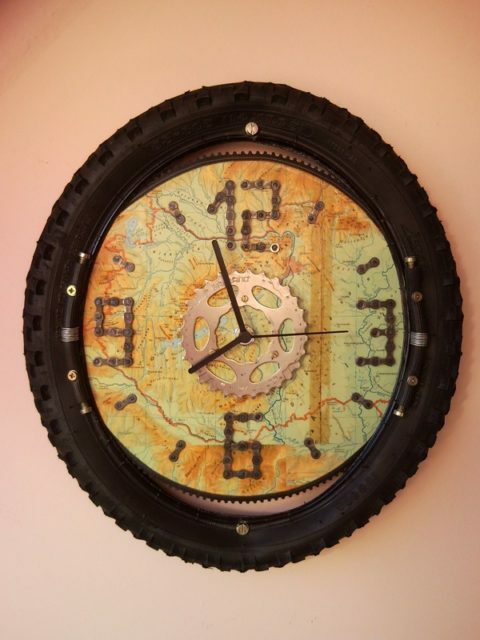 Numbers made from chains, unique handmade wall clock by Creative Funny.